(Newser) – A new FDA-approved painkiller isn't set to hit pharmacy shelves until next month, but critics are already warning it could kill—with just two pills. Zohydro, which the FDA gave the green light in October against the advice of its advisory panel, will serve as a powerful pain pill for those who can't get relief from what's already out there. It contains the same basic ingredient (hydrocodone) as Vicodin, but it has 5 to 10 times the power, Forbes notes, and without the added acetaminophen. As an expert on the advisory board who voted "no" tells NBC News, that acetaminophen deters savvy addicts from loading up on Vicodin for fear of liver damage. Like OxyContin, Zohydro is a "pure narcotic"; but unlike OxyContin, the Zohydro set to be released isn't tamper resistant, and can easily be crushed, then snorted or injected. Dear Fred Flintstone: Thank you for drawing my attention to my own shortcommings. I do get carried away sometimes and speak inappropriately. Who cares if it kills some drug addicts anyway? The title of this article is misleading, I thought it was dangerous to real People, not scum. 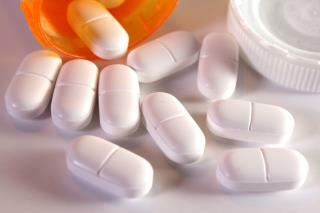 It is a myth that these drugs are addictive because most people who try most drugs do not become addicted to them. My heart goes out to bona fide addicts, but please take what they have to say about the addictiveness of drugs with a few grains of salt. Addicts are NOT experts on the addictiveness of drugs, they are experts on being a drug addict. It is neither true nor helpful to make a blanket statement asserting that opioids (or any other drug - such as alcohol or nicotine) is highly addictive. It is simply not true because most people who try most drugs do not become addicted to them. Just as most people who drink alcohol do so responsibly and in moderation - hence any assertion that alcohol is a highly addictive drug is not true. It is true to say that it is highly addictive for some people in some situations. As for the war on drugs, it will never succeed. We can't even keep drugs out of prisons - how can we expect to keep them off the streets, out of private homes, school dormitories, etc.? It's impossible.